of their proximity to violence, and implications for the system. 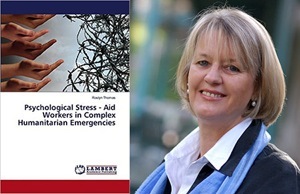 Ros Thomas, head of the Psychology and Counseling Department at Webster University Geneva, has published, "Psychological Stress - Aid Workers in Complex Humanitarian Emergencies," with Lambert Academic Publishing. The book explores the impact on humanitarian workers of their proximity to violence, and questions whether the humanitarian system fuels and exploits the "heroic" identities which they form. A senior United Nations humanitarian reviewed the book, saying the release of Thomas doctoral thesis at Oxford University "is a timely contribution to the growing debate about humanitarian action, especially in the lead up to the World Humanitarian Summit. Dr. Thomas' book is an exploration of how to understand and support humanitarian practitioners and the multiple stresses (high risk contexts, complex organizations, personal relationships, etc.) they must manage over the course of their careers in care for populations living in extremis." During the Spring 2 term Thomas, longtime faculty member and department head at Webster's Geneva campus, will be a visiting lecturer in the College of Arts & Sciences at Webster's St Louis campus, where the University was founded in 1915. Read more about her book in this story at Webster Geneva. practicing or reviewing dance technique. James Robey, assistant professor of dance in the Leigh Gerdine College of Fine Arts, released his second jazz dance book, "Beginning Jazz Dance," ideal for dance majors as well as general education majors enrolled in dance. \In 2010, Robey released his Jazz Dance Technique & Syllabus, which has been adopted by studios, performing arts schools, and universities in over 20 different countries. Beginning Jazz Dance, is part of the Human Kinetics’ Interactive Dance Series. Beginning Jazz Dance includes 80 photos accompanied by descriptions that visually present the beginning jazz dance technique and dance concepts as well as the core concepts of jazz dance and a chapter on its history. 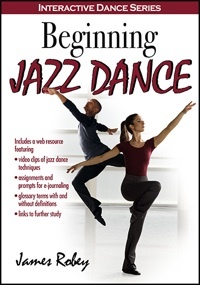 It comes with a web resource that includes 55 photos and 125 video clips for practicing or reviewing basic jazz dance techniques. Also included are assignments, work sheets, glossary terms, interactive chapter quizzes, and web links to develop basic knowledge and skills. Learn more about Robey's book in this profile at Human Kinetics. commissioned by the German Consulate General, Boston. The video displayed at a reception at the Goethe-Institut Boston in late January. McElwee created "Wanderung" (Migration), an immersive, video projection event. 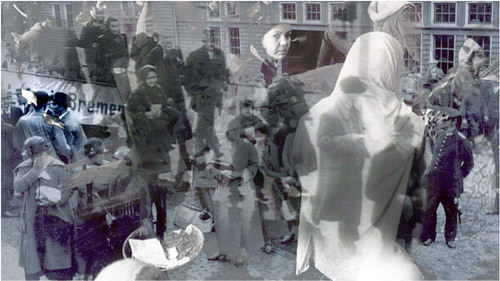 It featured images of a hundred years of migration into Germany. He projected the video onto the facade of the Goethe-Institut.